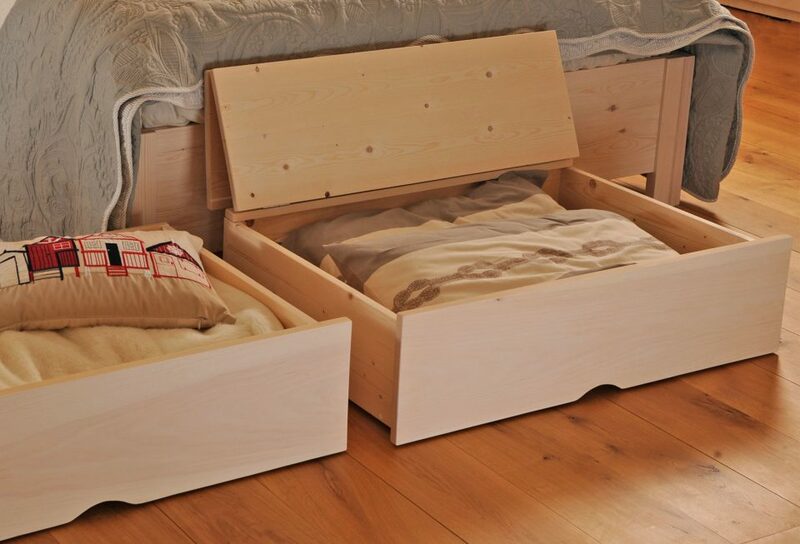 Our under bed storage drawers are the ideal way to tidy up your bedroom. 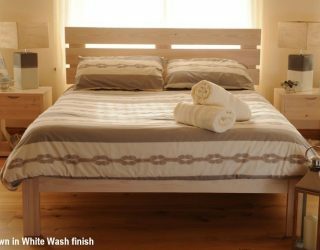 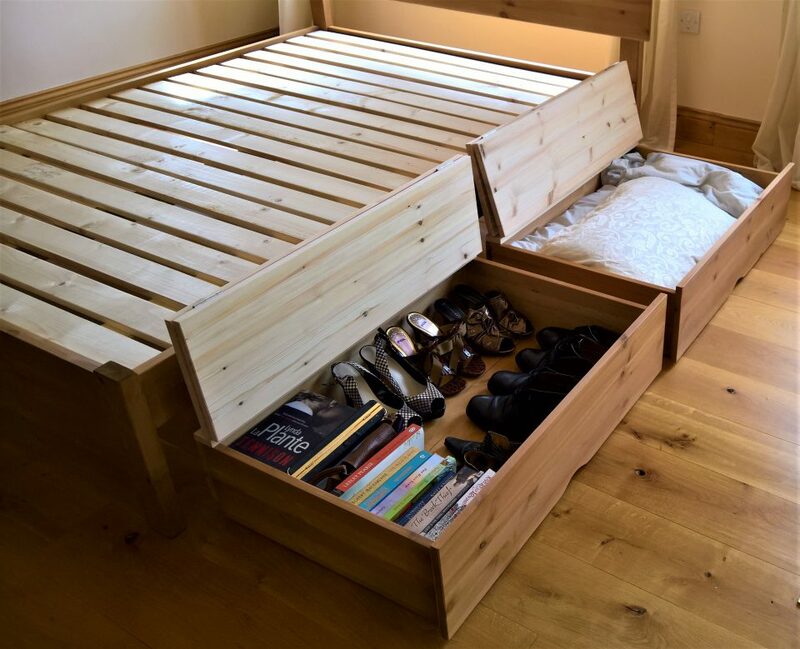 They are not only a practical storage solution, we have designed them to compliment the whole look of the bed. We can make all the standard height beds with an extra deep foot board to further enhance the look of the bed. 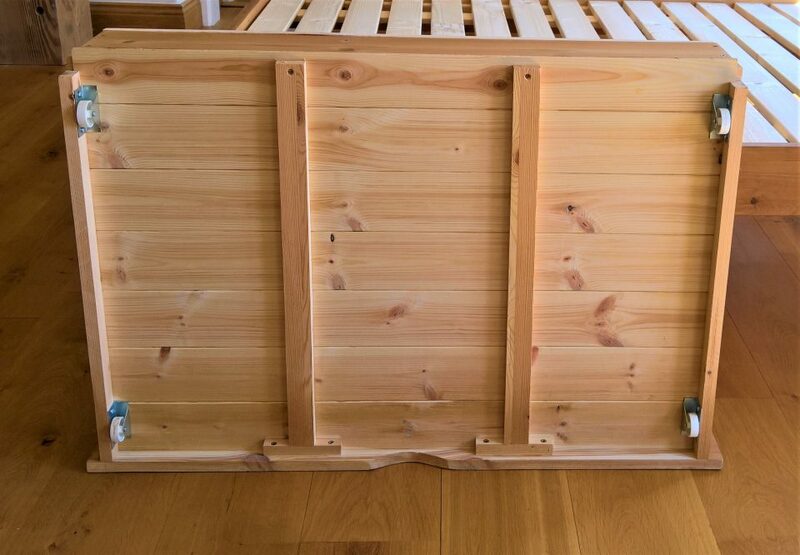 These handy storage boxes will fit neatly under any of our standard height beds, giving you plenty of extra room for storing your items. 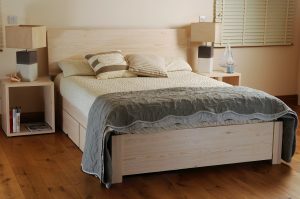 Fitted with easy glide wheels that work on both carpeted and wooden floors. 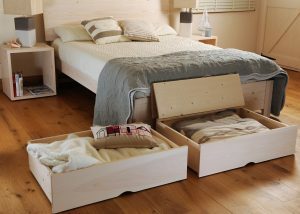 They simple roll out from under the bed giving easy access to the large capacity drawer. 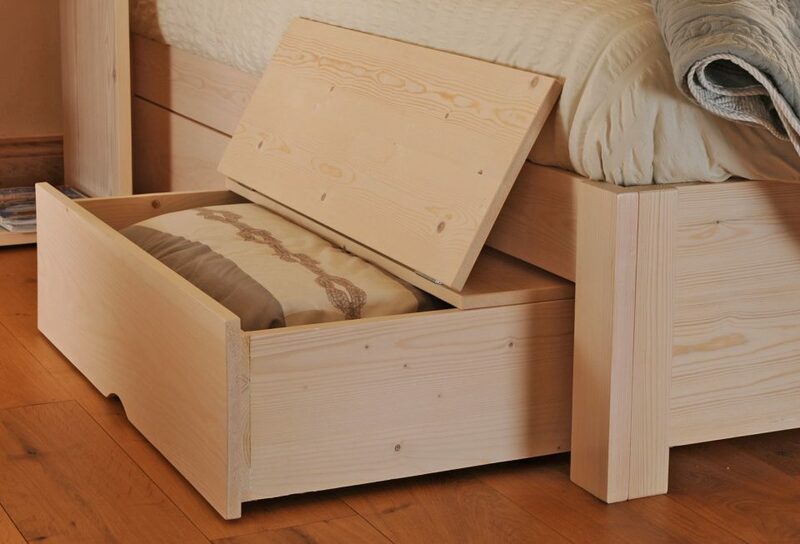 All drawers have a half moon cut out handle to make moving the under bed box quick and easy. 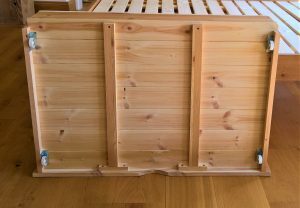 We offer these under bed storage drawers in a choice of colours to match you bed and you can have them with the option of a hinged opening top lid. 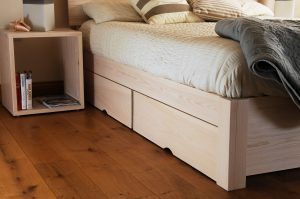 The half moon handle makes it simple to slide out the boxes from under the bed. 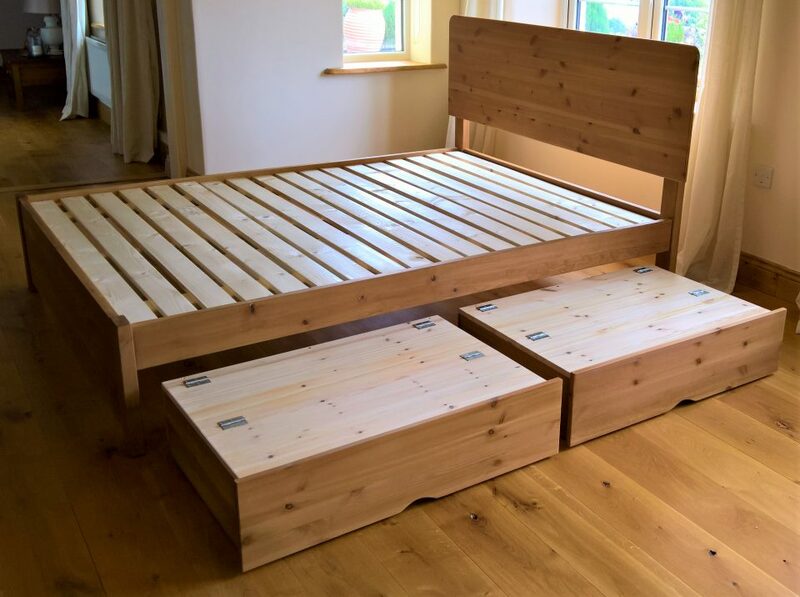 All of the bed storage drawers are hand sanded and then we use only water based, low odour finish. 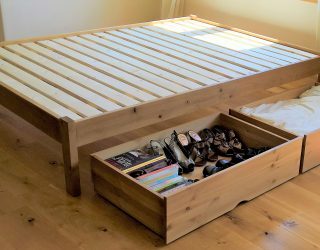 Maximize the storage space in your bedroom, with these beautiful bed storage drawers, available individually, or save money and buy one or two pairs. 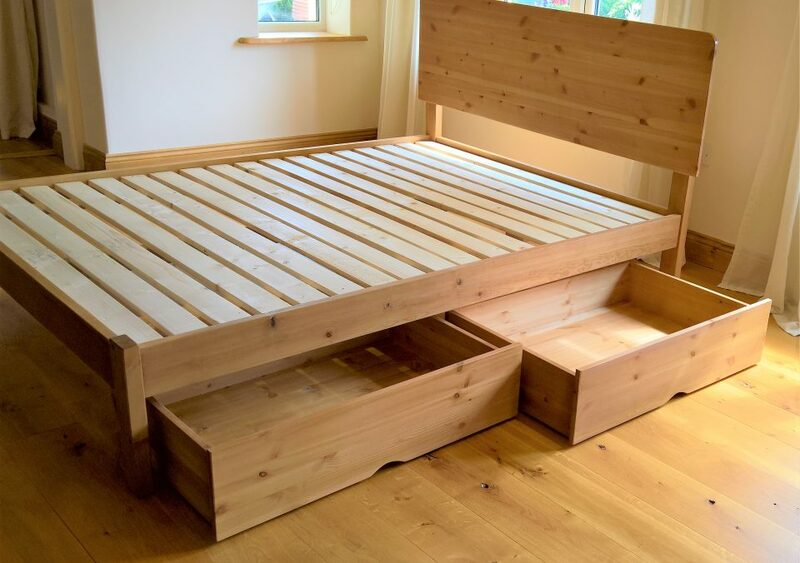 Made from sustainably sourced Scandinavian redwood. 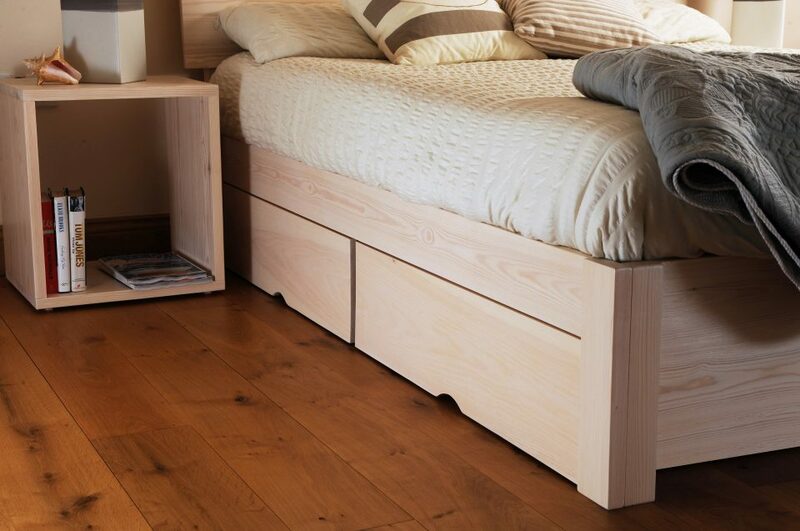 Fitted with easy glide wheels that work on both carpeted and wooden floors. 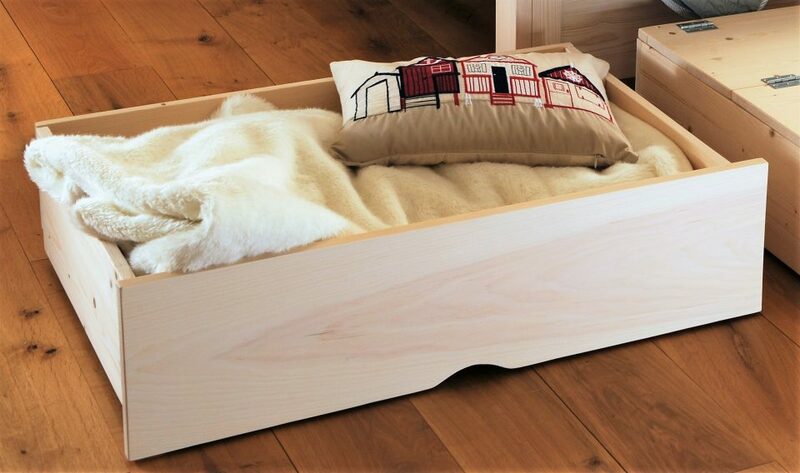 Available with or without folding lid. 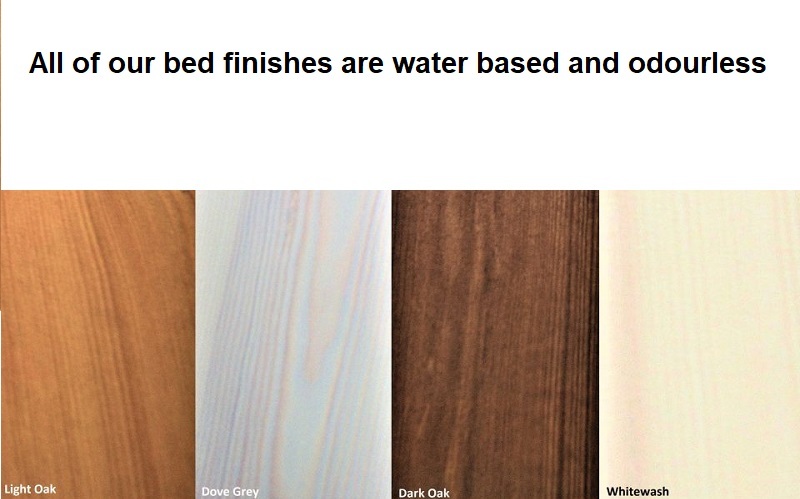 Water based, low odour finishes.